Wednesday Morning at Tamparuli old bridge. 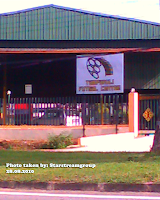 Happy to see the sunshine at Tamparuli this morning ( 1st September 2010 ). Well is a perfect day for all citizen of Tamparuli who enjoy their Tamu day at the Tamu ground at Tamparuli every wednesday morning. For folks out there you can visit Tamu Tamparuli to see the real picture of the people who live there. Merdeka Day 53 year Celebration. Happy Merdeka Day to all Malaysian and citizen of Tamapruli. Good Luck with everything you do and God Speed. 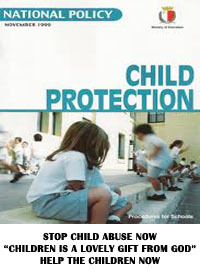 Thanks from Tamparuli.com Admin. Secondary School at Tamparuli district. 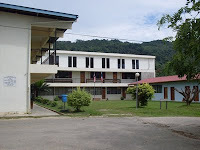 There are three Secondary school in Tamparuli Sabah. 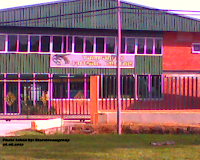 One of the school is SMK Tamparuli Sabah which one of the best School at Tuaran and Sabah itself. SMK Tamparuli was founded by the British Government in the late 1950s. In 1960s SMK Tamparuli was fully control by Malaysian government. SMK Tamapruli is located about 3 KM from Tamparuli town. Mostly student from Tampruli will study here at SMK Tamparuli. nder Education Ministry in late year 2000. At present there more than 800 pupils studying at SMK Sungai Damit, Tamparuli. The school was started in 1939 by a missionary, G.B. Youngberg, who was also the mission president for North Borneo. Named Sabah Training School, it operated until 1941 when it was forced to close because of the war. After the war, Peter Leopard and D. P. Siagian restarted the school in 1947. As student enrollment increased, dormitories, extensions to school buildings, and teachers' quarters were built. In 1959, a science lab and library were added with the present boys dorm in 1969 and girls' dorm in 1970. In 1969, the name was changed from Sabah Training School to Sabah Adventist Secondary School (SASS). The old name was adopted by the elementary school. 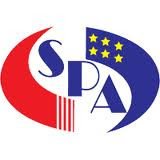 In 1999, following government regulations, the school was renamed Sekolah Menengah Advent Tamparuli (SMAT). By 1968, SASS offered classes up to Form 5 with English as the medium of instruction. In 1976 however, following directives from the State Education Department, the medium of instruction was changed to Bahasa Malaysia although SASS continued to use English for subjects like Bible, Art, Science,Mathematics and English; and the school was well known for its strength in English. Currently it offers the national curriculum from Form 1 to 6 with pure science classes in Form 4 and 5. It was a very famous school in Tamparuli during that years. During the Japanese occupation in Tamparuli, SASS was being used as Temporary Operation Camp to attack Ranau and Kiulu. SASS was managed by Seven Day Adventist Missionary until now but it was never being left over by Malaysian Government and continually help by Ministry Education. This information at least bring more valuable info to the public who stay in Tamparuli area. It was a wonderful experiance to live in Tamparuli. The town is located 40km from Kota Kinabalu. 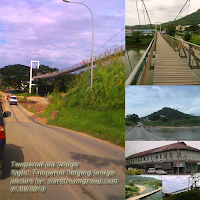 There is a lot to be shared about Tamparuli town. One of the most popular is " Jambatan Tamparuli" a song dedicated for Tamparuli tamu which happen every Wednesday morning. Tourist from all over the country and world really enjoy visiting Tamparuli town because they like to taste for a walk on "Tamparuli Suspension Bridge" and the famous "Tamu Tamparuli" Once a year the local autorities will organize a festival call "Festival Music Bamboo" there you will see a lot of group will preform an ochestra with Bamboo musical instrument. Recently a new actvity organize by Pejabat Daerah Tamparuli with the cooperation of Datuk Jahid Jahim organized the Paragliding Extreme Sport. Many tourist from Korean really enjoy it so much. The sport was one of popular sport among the people who love extreme challenge. If your interested in white river rafting you also can joint this sport which is conducted at Kiulu River rafting which is not far from Tamparuli town. You just take a bus from Tamparuli and will reach Kiulu Town about 45 minutes later. 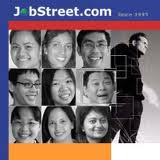 So what you waiting for just search inside this blog to get more information or you just fill the online inquiry form to ask for services needed or just send your comment and you will be reply back as soon as possible. 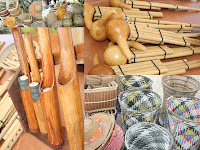 The Musical Bamboo festival was a popular activity conducted by Pejabat Daerah Tamparuli with the Support from Sabah Tourism Ministry to promote the unique Bamboo Musical Instrument to the world. 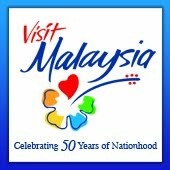 was organized and launch by Datuk Mashidi Manjun, Tourism Minister in Sabah State Government. There are many Bamboo Musical Group in Tamparuli, but the famous one was originated from Kg Kionsom Baru, Tamparuli which headed by Mr Ramin Marasan ex RTM Musical player and Part Time Lecturer from UMS but recently with health illness this group was under the management of Mr Ahmad Batang. 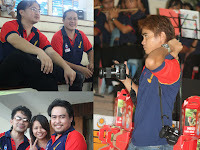 The group already have played so many ceremony conducted by Tourism Board in Sabah. With the government support many group have been establish and under contract from Sabah government. 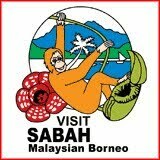 There are about 5000 or more people from Tamparuli, Sabah and foreign tourist coming for this event. It was a successful event where we got good feedback from the tourist and NGOs and they will support this events next year. Tamparuli Paragliding at Ruhiang Hill. For the lover of Paragliding, you can enjoy this activity conducted by Borneoairsport Company. Usually with a good condition of weather, this activity will take on Jan till April every years. Ruhiang Hill can be reached from Tampruli Town in 15 minutes by land transport. This activity started in 2009 where the first who ever try it was the Malaysian Army from Lok Kawi station. Below is the details adapted from Google Search. it is fantastic take off, will invite more koreans and counterpart to come to Ruhiang Hill Tamparuli. The landing site will be at the flat land near Cultural House. Comments: Your will be fascinated after your try. Tamparuli Town - Under 9th Malaysian plan. 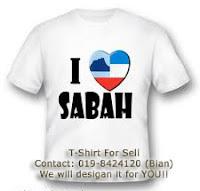 Under the planning from Malaysian Government, Tamparuli was allocated about one million ringgit to be developed in order to compete with other city in Sabah. Tamparuli town was awarded to built it riverbanks so that it can or at least preventing the flood. Usually for a big flood comes onces in a fourth years and the worst flood that hit Tamparuli town was in 1999 where all the town was covered by water and an insurgency was declared for the safety of the people living in a nearby town. With this allocation of money from the government , hopeful it can bring more goods the public living in Tamapruli town. 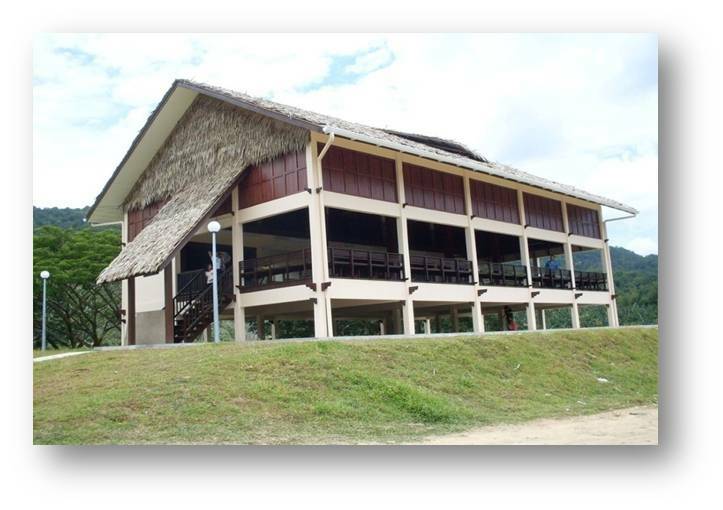 Tamparuli also get a Recreation Center built at the riverbanks of Tuaran river. The Tamu ground are beside from this Recreation Center. Built on a riverbank, Tamparuli Bed & Breakfast is located in Tamparuli, a quaint town rich with culture and history. Tamparuli is fame for its white water rafting. 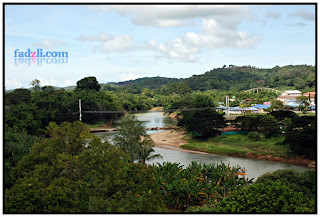 The B & B has a commanding view of Gunung Kinabalu and the serenity of the river. 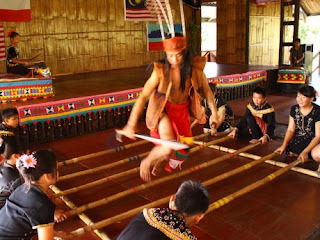 It is designed after the Dusun Lotud traditional house. This project combines the R & R and Bed & Breakfast concepts and is equipped with a restaurant, a public washroom and 12 numbers of rooms. Other Project is under discussion from the "Kementrian luar Bandar" will soon be announce by the Local governments. Welcome to Tamparuli - home of the famous ‘Jambatan Tamparuli', a favourite folk song of theKadazandusun people of Sabah which tells of a hanging bridge and the story a young girl who accidentally loses her shoe while crossing. Located some 42km from Kota Kinabalu, Tamparuli holds its weekly tamu (market) every Wednesday in the town centre. 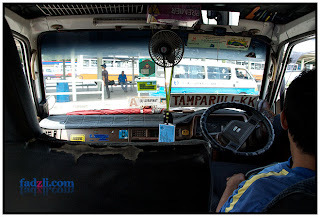 Tamparuli is only 40 minutes by car from KK City. Take a bus from the bus station in front of Wawasan Plaza for RM5.00 per person per way. Be sure to communicate with the bus driver to indicate your drop-off point. The drop-off point is usually also the pick-up point for your return journey. Buses run from 7:30am to 5:00pm. LABUAN: Two Year Student, School of Business and International Monetary Authority (SPKAL), Alfera Jausin tournament champion and Kumang Unduk Ngadau Gawai celebration and Gawai Harvest Festival, Universiti Malaysia Sabah, Labuan International Campus (UMS-KAL) 2010 on July 31 2010. 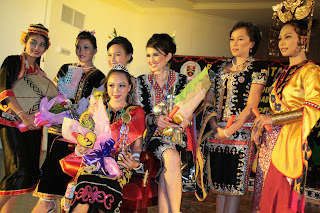 Alfera, 21, who hails from Tamparuli, Sabah took home the trophy, cosmetics products, hampers and certificates of appreciation. Won first runner-up clerks Ajid Merry, 22, of Kites and Kite-from Tawau, Sabah, while third place was the Three Year SPKAL students, Mustapa Sofie Mimiliz from Sandakan. Other participants were Shafinas Norhidayah Nordin, Ezekiel Damian, Siti Hartini Murali and Suhamna Haming.All gifts are delivered by the Director of UMS-KAL, Prof Madya Dr Shariff Abdul Kadir Omang in the Main Hall, UMS-KAL, at the closing of Gawai Harvest Festival, and the UMS-KAL. Also present were the wife of Dr. Shariff, Azmona Wan Mohamed, Senior Assistant Registrar (Student Affairs and Alumni), Zamri Mohamad Tuah, Chairman KDCA Labuan, Lawrence Jomiji, Presiedn Dayak Association of Labuan, Chulin Serang, Program Coordinator, Andrew and Caroline Ryan Macdonell Rosie Child Jeffrey Nasah and Program Director Bernard V Majawai. In his speech, Dr Shariff said that preserving the traditional culture and art practice in Sabah and Sarawak is the responsibility should be shouldered by the students of UMS-KAL. He said the university is the perfect place for students of different races and religions and cultures to recognize indigenous people in this country. He said the election of Executive Committee of the program of Chinese, Indians, Malays as well as natives of Sabah and Sarawak are to meet the government's intention to introduce 1Malaysia. "Gawai Harvest Festival and Fair was held to introduce the customs and culture of Sabah and Sarawak are indeed rich with culture is unique and interesting," he said. Dr Shariff hope that through such activities, cohesion and racial harmony to dieratkan between students of different races and religions.